Cell oxidative status, which represents the balance between oxidants and antioxidants, is involved in normal functions. Under pathological conditions, there is a shift toward the oxidants, leading to oxidative stress, which is cytotoxic, causing oxidation of cellular components that result in cell death and organ damage. Thalassemia is a hereditary hemolytic anemia caused by mutations in globin genes that cause reduced or complete absence of specific globin chains (commonly, α or β). Although oxidative stress is not the primary etiology of thalassemia, it mediates several of its pathologies. The main causes of oxidative stress in thalassemia are the degradation of the unstable hemoglobin and iron overload—both stimulate the production of excess free radicals. The symptoms aggravated by oxidative stress include increased hemolysis, ineffective erythropoiesis and functional failure of vital organs such as the heart and liver. The oxidative status of each patient is affected by multiple internal and external factors, including genetic makeup, health conditions, nutrition, physical activity, age, and the environment (e.g., air pollution, radiation). In addition, oxidative stress is influenced by the clinical manifestations of the disease (unpaired globin chains, iron overload, anemia, etc.). 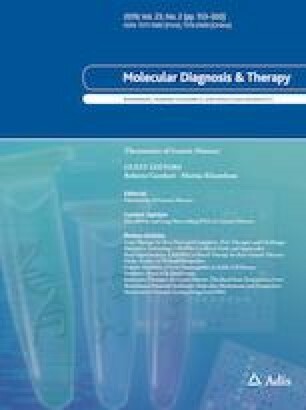 Application of personalized (theranostics) medicine principles, including diagnostic tests for selecting targeted therapy, is therefore important for optimal treatment of the oxidative stress of these patients. We summarize the role of oxidative stress and the current and potential antioxidative therapeutics in β-thalassemia and describe some methodologies, mostly cellular, that might be helpful for application of a theranostics approach to therapy. EF and MD have no conflicts of interest that are directly relevant to the content of this article. Costa FC, Fedosyuk H, Chazelle AM, Neades RY, Peterson KR. Mi2 beta is required for gamma-globin gene silencing: temporal assembly of a GATA-1-FOG-1-Mi2 repressor complex in beta-YAC transgenic mice. Plos Genetics. 2012;8(12). https://journals.plos.org/plosgenetics/article/file?id=10.1371/journal.pgen.1003155&type=printable. Lulli V, Romania P, Morsilli O, Cianciulli P, Gabbianelli M, Testa U et al. MicroRNA-486-3p regulates gamma-globin expression in human erythroid cells by directly modulating BCL11A. Plos One. 2013;8(4). https://journals.plos.org/plosone/article?id=10.1371/journal.pone.0060436.